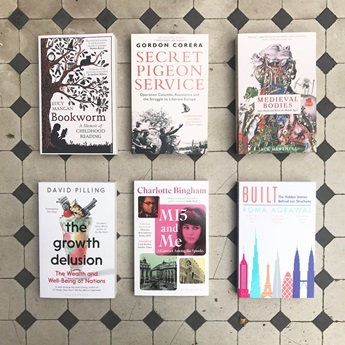 Our expertise lies in matching people with books, as our acclaimed subscription service, A Year in Books, demonstrates. 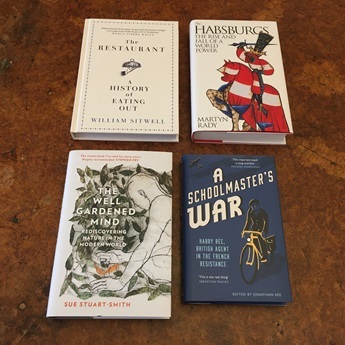 For a bite-sized taste of this, allow our expert booksellers to play literary match-maker: once you have booked this service, we will send you a list of five probing questions to answer about yourself, or your loved one, if giving the service as a gift. Your answers will enable us to ensure that the titles we select are entirely tailored to suit their intended reader’s taste. 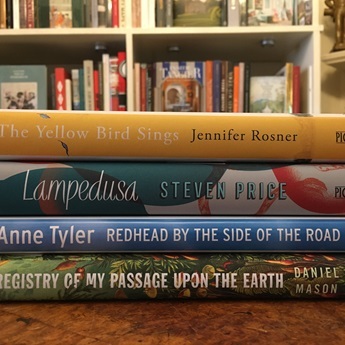 We will then dispatch a beautifully wrapped bundle of three well-chosen hardback books to your door, or the recipients, along with a personalised letter from your bookseller, explaining why they have chosen these books. What would make your ‘perfect day’? If you could only read the works of one author for the rest of your life, whose would they be, and why? What in your life, if anything, is too serious to be joked about? Do you wish to receive fiction or non-fiction, or both? UK postage is included in the price of this bundle. Overseas postage charges will be added at check-out and are £15.76 in the EU, £13.80 in the US, and £25.92 for the rest of the world. Giving this bundle as a present? In the 'notes' box in the checkout, please let us know whether you would like to answer the questions for the recipient, or if you would prefer us to send the questions to the recipient directly. We can include a personal message from you, handwritten on one of our illustrated Heywood Hill postcards free of charge. Write your message in the 'notes' box at the checkout.